"This day is important, as you can see Christians waving palm branches the same way the crowds greeted Jesus when he entered Jerusalem by waving palm branches and covering his path with palm branches", he said. Israeli officials reported an estimated 15,000 people took part in the procession. The day celebrates Jesus' arrival in Jerusalem riding on a donkey days before he was crucified, he added. 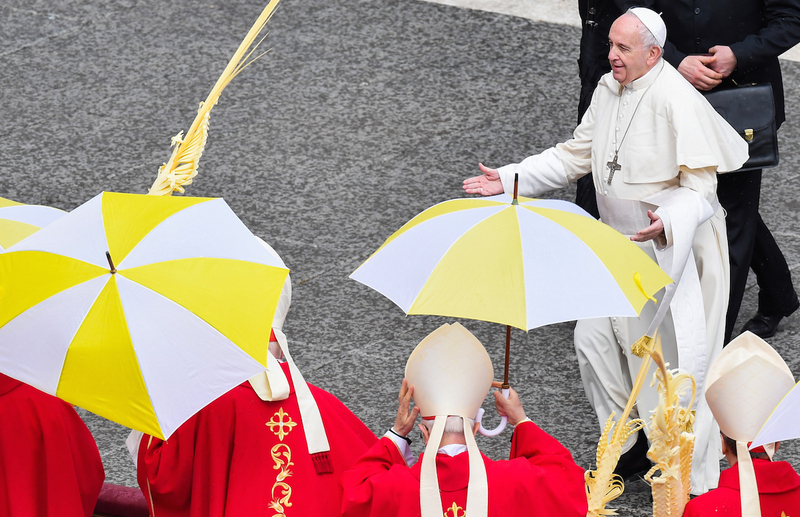 "This twofold mystery accompanies our entrance into Holy Week each year", the Pope said. At the end of the two-hour service, Francis asked the crowd to pray for peace around the world but particularly the Holy Land and the Middle East.